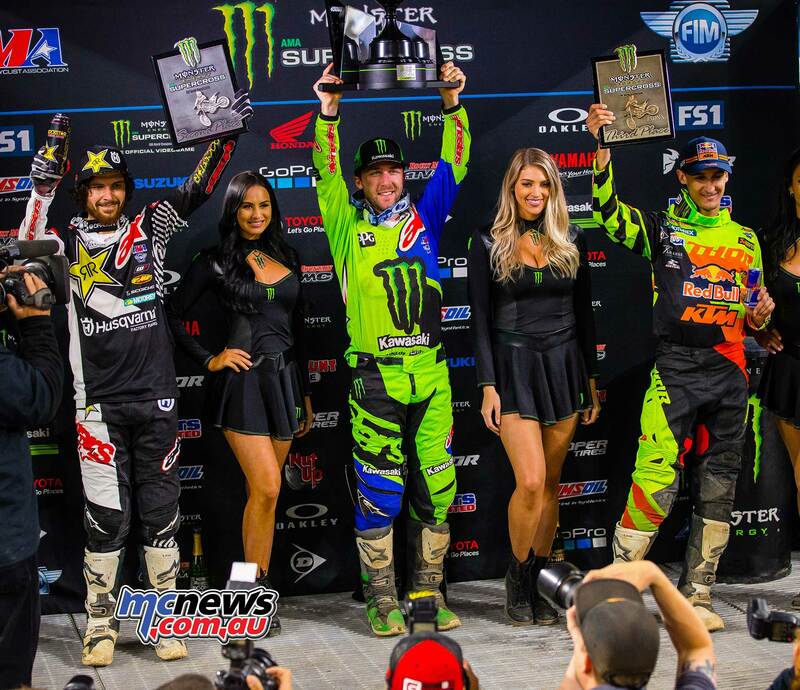 Round 14 of Monster Energy AMA Supercross wrapped up the third and final Triple Crown format event, which features three main events deciding the overall winner. 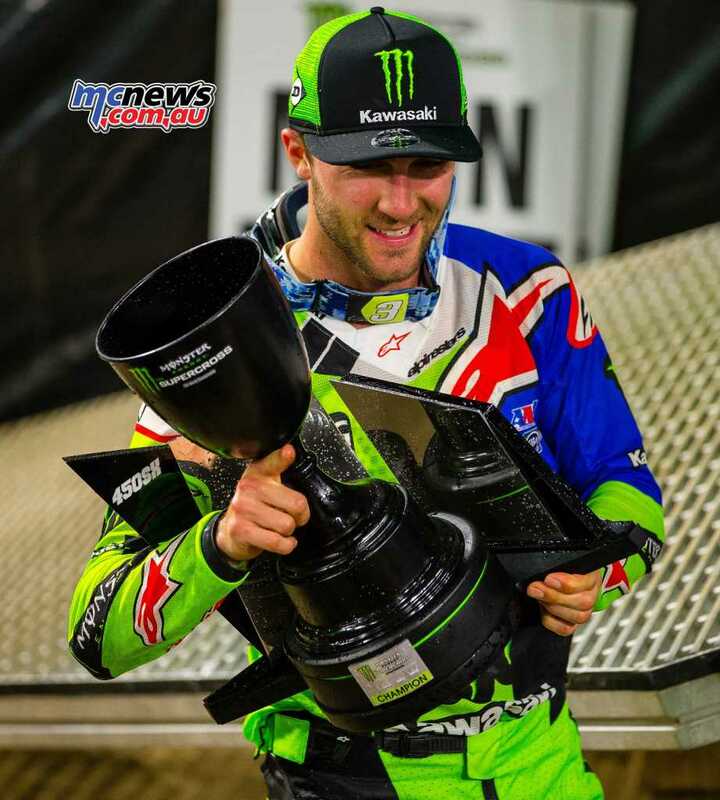 As the Minnesota newscast continued to call the blizzard outside “historic”, Monster Energy Kawasaki rider Eli Tomac was inside U.S. Bank Stadium making history for Kawasaki and himself as he captured his seventh win of the season and the first-ever overall Triple Crown Championship. 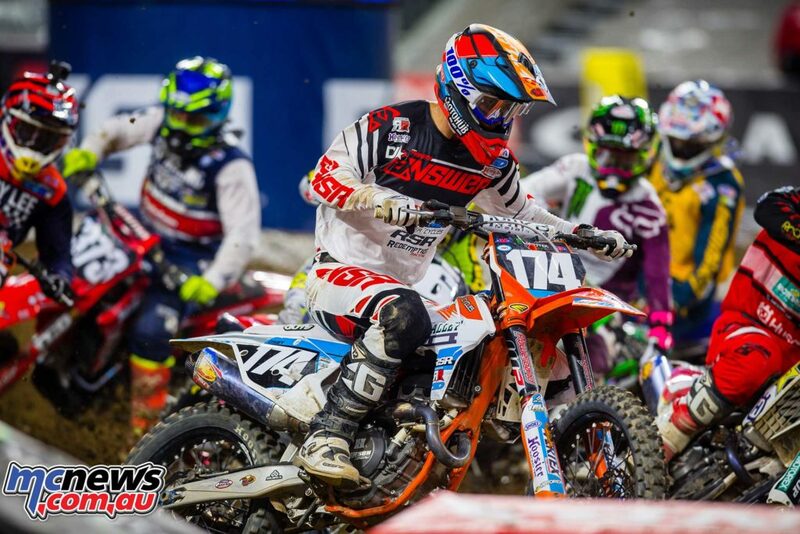 Tomac finished with the lowest overall Olympic-style score in the three-race series ahead of Husqvarna’s Jason Anderson and KTM’s Marvin Musquin to take the overall win. 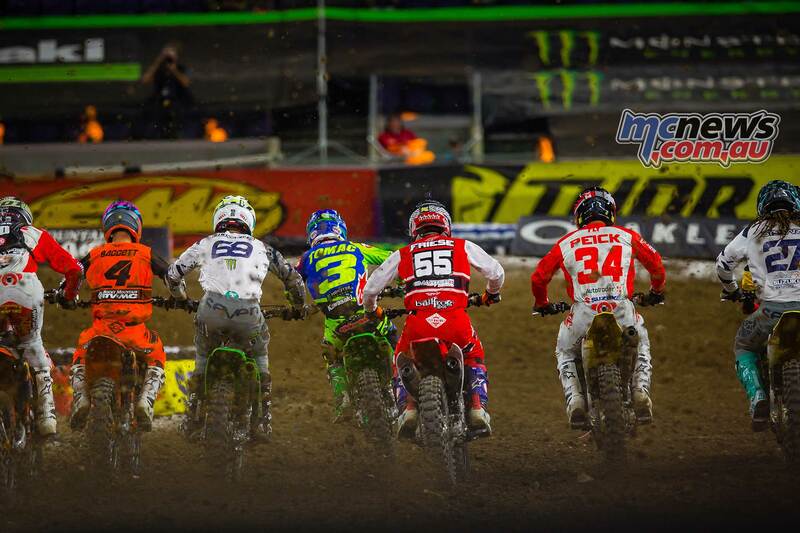 Despite the treacherous weather outside, the crowd was on their feet as Tomac shot out of the gate in front of the 22-rider field for the 450SX Main Event 1. Tomac led all 14 laps to take the first win of the night ahead of Anderson, Barcia and Brayton. 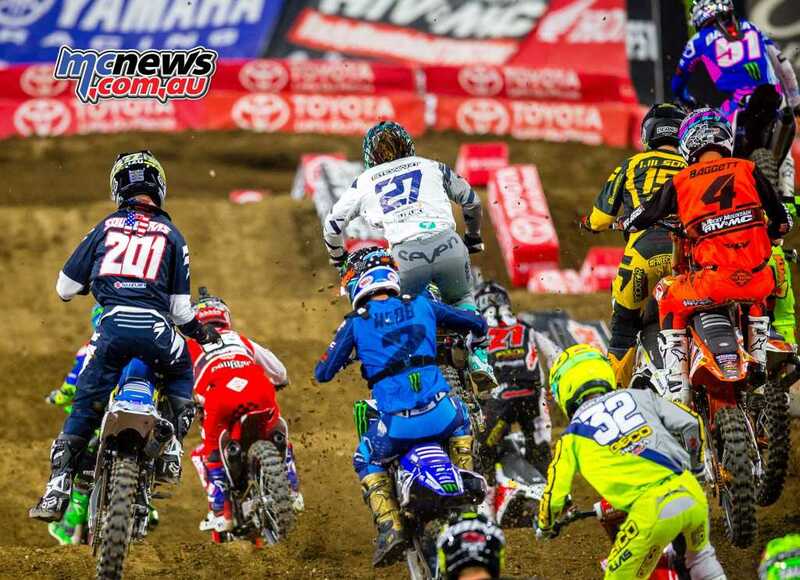 The 450SX Main Event 2 was one for the books as the elite 450SX class riders continued to battle by assertively passing one another and swapping positions. Tomac made an early error, dropping him to eighth before the Kawasaki man gradually made his way up to sixth with eight-minutes left to go. 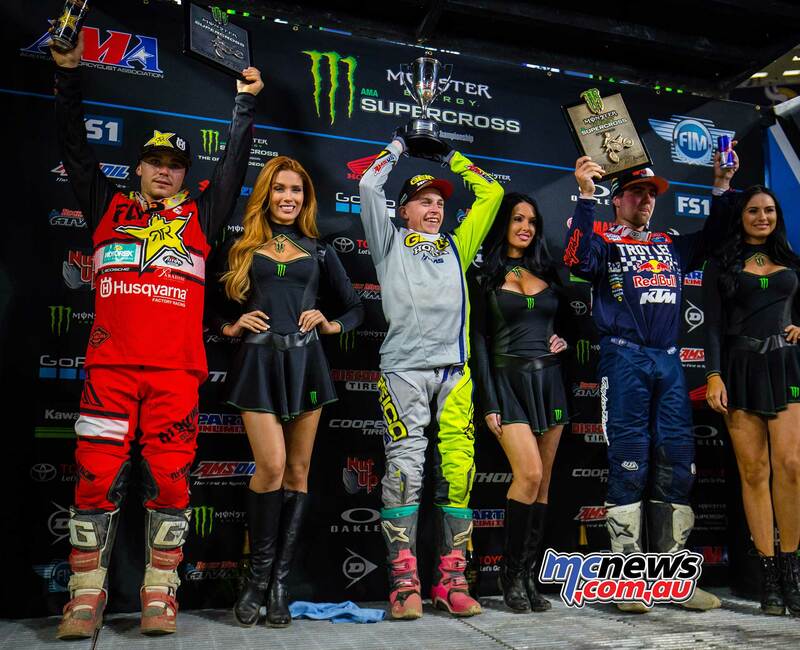 The intensity was at an all-time high as all of the top players were stacked up and Tomac finally made a move on his KX450F to gain two positions in fourth, where he remained as the clock ran out. 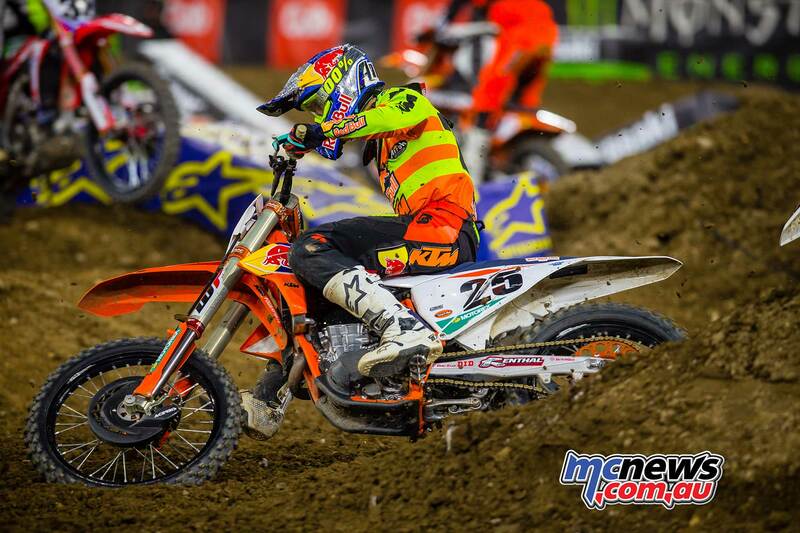 The first rider to get the chequered flag in the second main was Marvin Musquin ahead of Justin Brayton and Weston Peick. As the gate dropped for the third and final race of the night, Tomac battled for the lead early but due to traffic took an outside line while sitting in third and he found himself held up by another competitor’s crash. 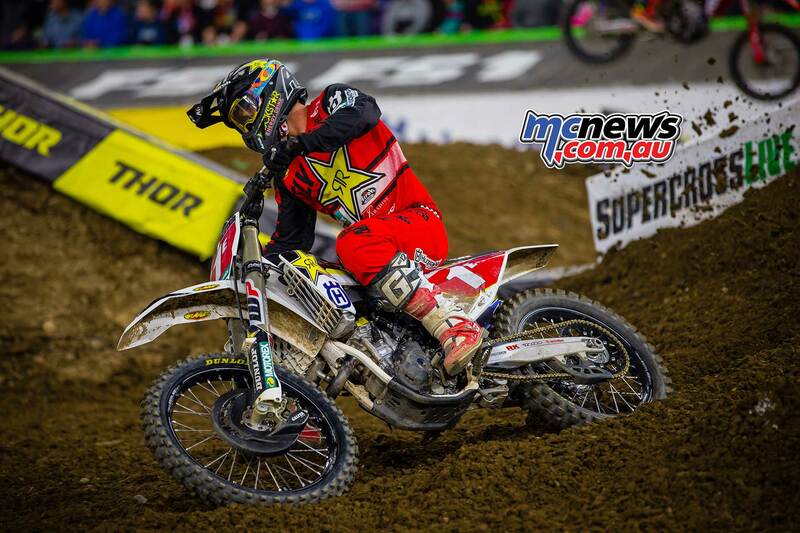 Tomac only lost one position and avoided an incident of his own, but he did not let that stop him as he quickly retook third to seal the deal and finish 1-4-3 for the overall victory. 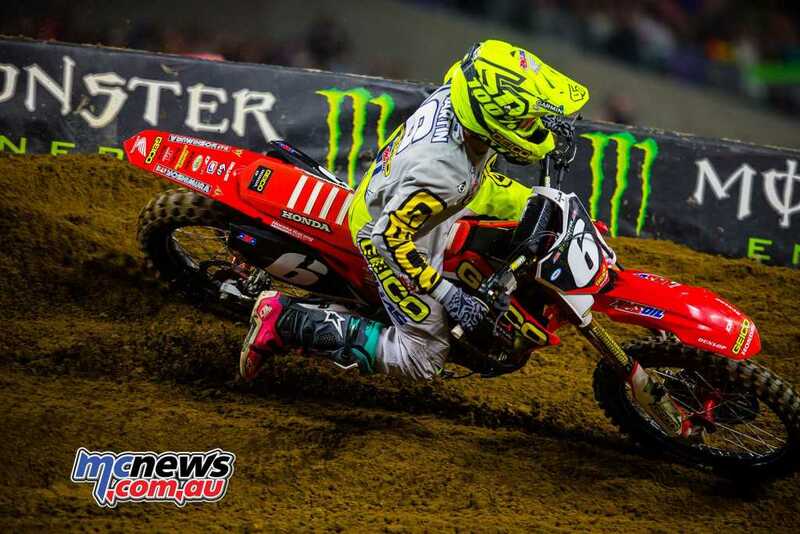 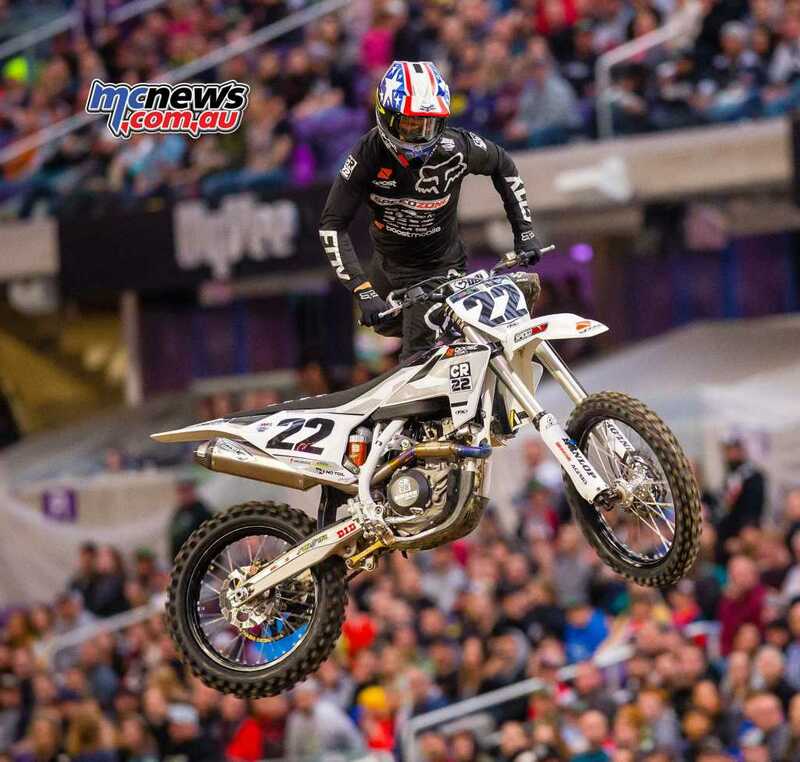 The winner of the third main though was championship leader Jason Anderson who lost only three-points to Tomac for the round and actually extened his lead in the AMA Supercross Championship to a handy 39-points over Musquin. 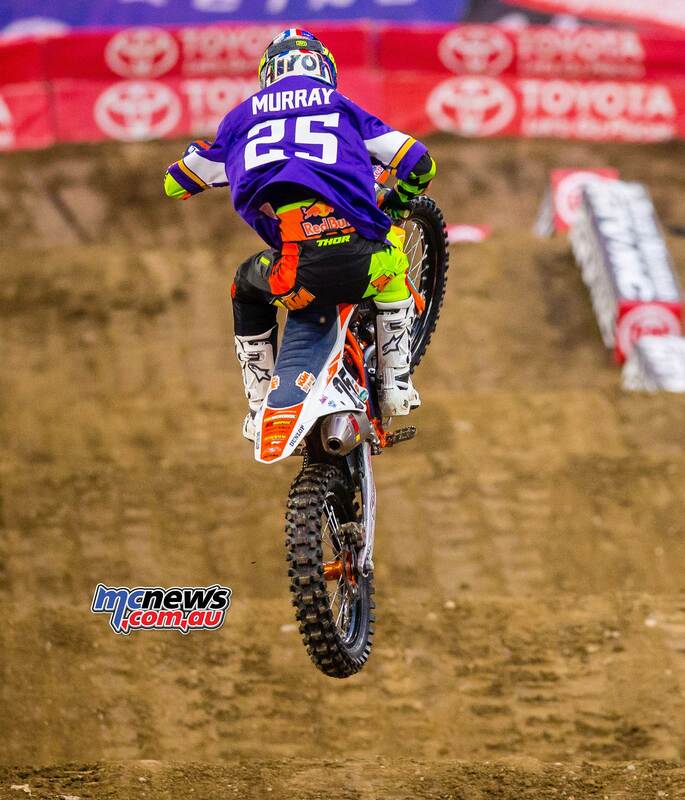 Tomac is a further 26-points back in third. Chad Reed scored his best result of the night in the final main with a ninth place adding to the 12th and 13th scores in the opening two bouts. 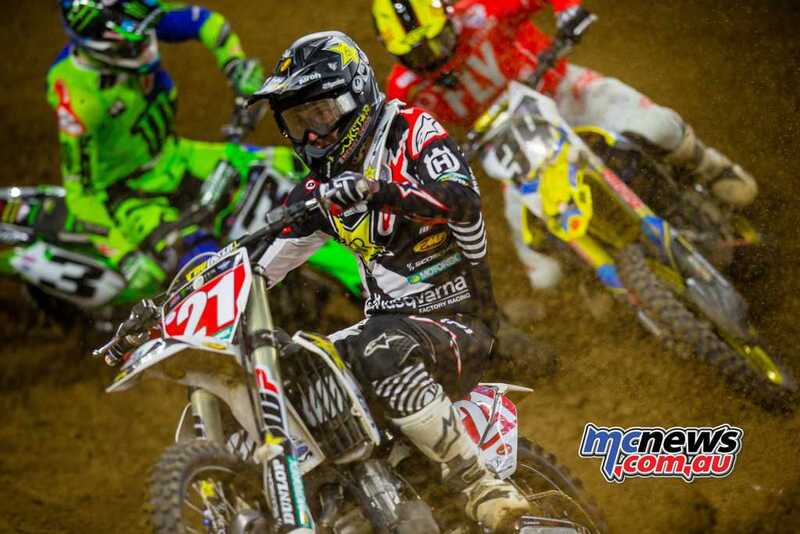 Reed is currently 15th in the championship points chase. Tomac has now won as many races as everyone else in the 450SX class combined and secures the overall Triple Crown Championship by winning two of the three superior events. 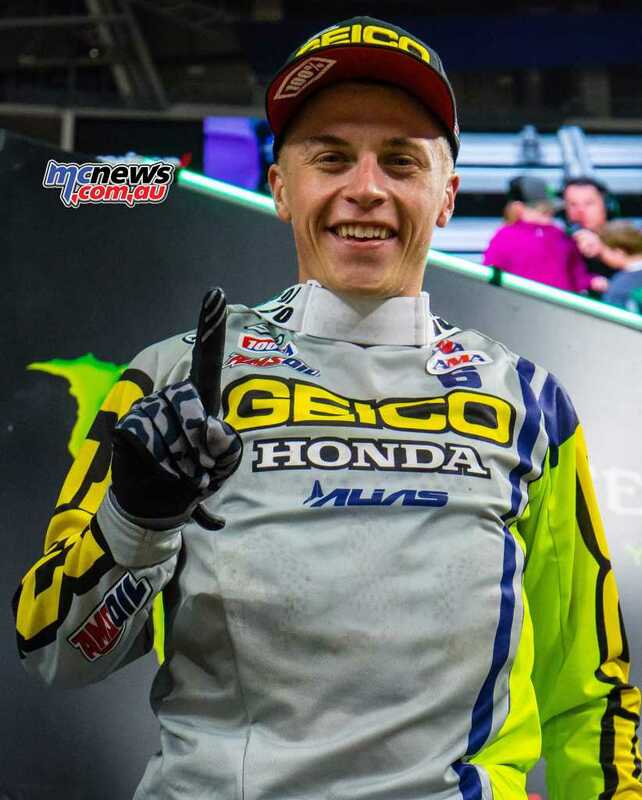 Honda’s Jeremy Martin was the overall winner in the 250SX class but with second place Zach Osborne extended his points lead to 16-points over KTM’s Jordon Smith in the 250SX East Championship. Austin Forkner’s night had started well with the win in the opening moto but the Kawasaki rider could not back it up across the final two motos and made some mistakes.